CSKA Moscow took a crucial step towards locking down a playoffs spot in Top 16 Group E by downing Zalgiris Kaunas 70-61 in the Russian capital on Friday. CSKA improved to 8-3 and can qualify for the playoffs with a road win against Unicaja in the next Game of the Week, regardless of other scores. Zalgiris dropped to 4-7 and is all but mathematically out of chances to advance. Sonny Weems led the winners with 13 points. Viktor Khryapa added 12 and 8 rebounds, while Nenad Krstic just missed a double-double with 9 points and 8 rebounds for CSKA. Rimantas Kaukenas led Zalgiris with 16 points and Oliver Lafayette added 11 for the guests. Back-to-back baskets by Krstic allowed CSKA to get a 17-12 lead at the end of the first quarter. CSKA improved its margin to 35-26 at halftime and a triple by Zoran Erceg made it a 14-point game late in the third quarter. Back-to-back three-pointers by Lafayette sparked a 0-14 run highlighted by Ksistof Lavrinovic's four-point play to tie the game at 48-48 after 30 minutes. 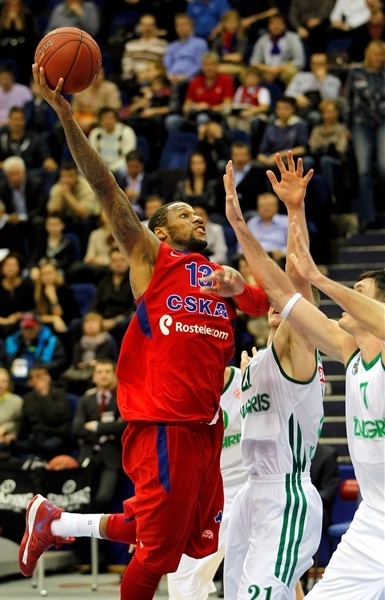 Weems and Khryapa struck from downtown in an 8-0 run that put CSKA ahead for good, 61-53. Zalgiris kept trying, but CSKA stayed solid on defense and cruised to a hard-fought, important home win. Kaukenas got Zalgiris going with his trademark stop-and-pop jumper. 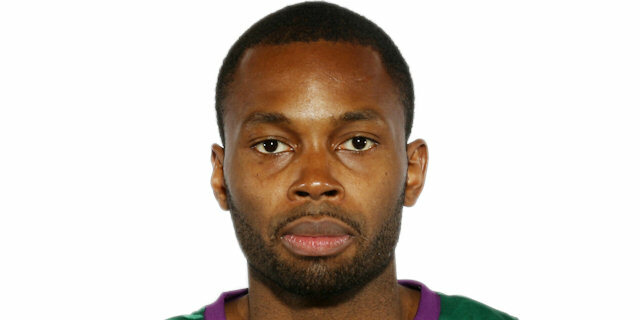 CSKA tried twin point guards in its starting lineup so Aaron Jackson could guard Lafayette. Jackson collected a steal and buried a three-pointer for a 3-2 CSKA lead. Teodosic found Sasha Kaun for a slam and a jumper by Mindaugas Kuzminskas kept Zalgiris within 5-4. Kaun split free throws and Teodosic added a driving basket, but Zalgiris kept dominating the game tempo by using long possessions. 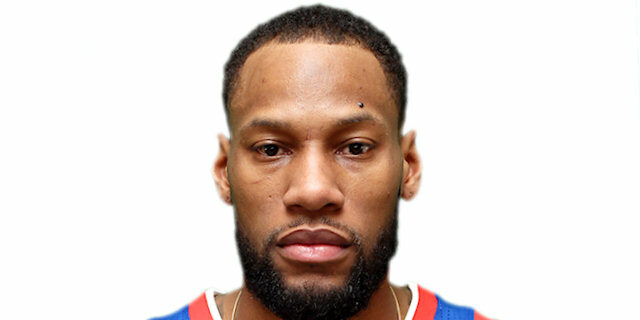 Jeff Foote dunked, however Kaun matched him with an alley-oop slam that gave CSKA a 10-6 edge. Ksistof Lavrinovic made free throws, but Teodosic did better with a rainbow triple. 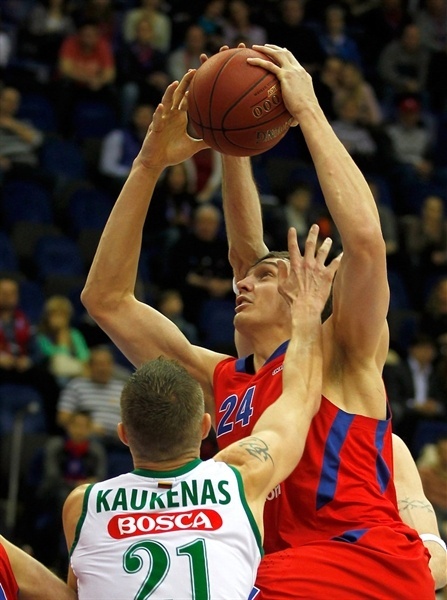 Foote kept pushing Zalgiris with a basket in the paint as CSKA struggled to score late in the first quarter. Vytenis Lipkevicius took over with a fast break layup, but Nenad Krstic followed a basket inside with a buzzer-beating jumper to give CSKA some fresh air, 17-12, after 10 minutes. Vladimir Micov split free throws early in the second quarter. Darjus Lavrinovic followed with a fast break slam, which Andrey Vorontsevich erased with an acrobatic basket. Kaukenas buried an open jumper in transition, which Viktor Khryapa matched with a put-back basket that gave CSKA a 22-16 edge. Zalgiris kept missing open shots and a three-pointer by Micov forced Coach Joan Plaza to call timeout at 25-16. Zalgiris improved its defense midway through the second quarter with Robertas Javtokas and Ksistof Lavrinovic together on court. 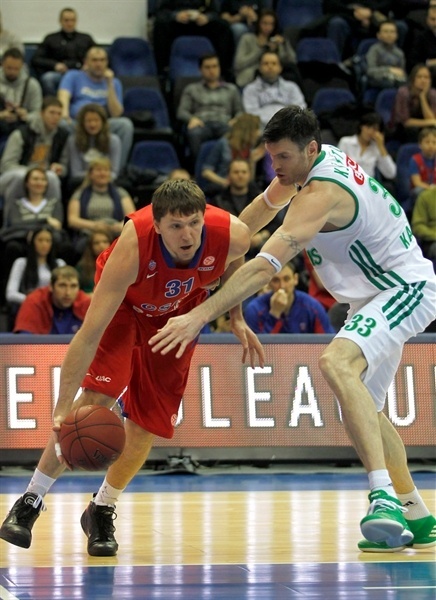 Kuzminskas made free throws, but a three-point play by Weems made it a double-digit game, 28-18. Ksistof Lavrinovic shined with a backdoor layup and a three-pointer by Lafayette gave the guests some hope at 28-23. 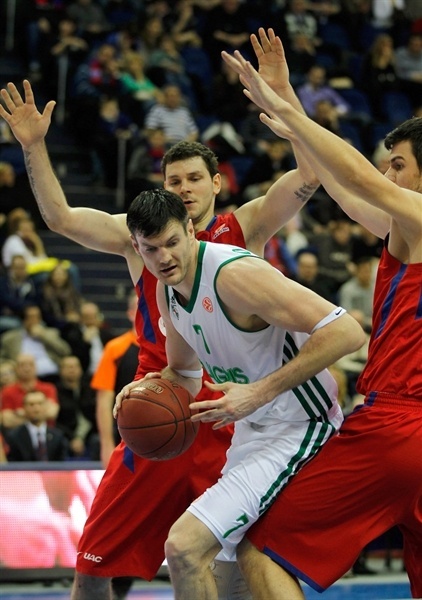 Jackson answered from downtown, however, and a fast break layup by Krstic caused Zalgiris to stop the game at 33-23. A triple by Kaukenas and a layup by Khryapa fixed the halftime score at 35-26. Javtokas sank a hook shot immediately after the break. A huge block by Kaun allowed Weems to bury a three-pointer at the other end to restore a 38-28 CSKA lead. Kaun picked up his third foul, but Krstic came off the bench and immediately delivered with a close jumper. Kaukenas beat the shot clock buzzer with a six-meter shot, which Jackson bettered with a triple from the corner for a 13-points CSKA margin. Papaloukas scored off a steal and Zalgiris called a much-needed timeout at 45-30, after a 10-2 run. Zalgiris tried to open the floor with the Lavrinovic twins together on court. Darjus Lavrinovic scored around the basket and a jumper by Lafayette gave Zalgiris some hope. Zoran Erceg answered from downtown, but back-to-back triples by a red-hot Lafayette brought Zalgiris within single digits, 48-40. Kuzminskas dunked to before CSKA stopped the game at 48-42. Ksistof Lavrinovic provided a highlight with a four-point play and a reverse layup by his brother Darjus capped a 0-14 run which tied the game, 48-48, through three quarters. Khryapa struck from downtown early in the fourth quarter but Darjus Lavrinovic buried his own three-pointer to tie the game again, 51-51. Micov fed Kaun for a dunk, which Kuzminskas erased with a close basket. Weems joined the three-point shootout and Khryapa downed another one from beyond the arc to give CSKA a 59-53 margin with over 6 minutes to go. Weems scored around the basket to force Zalgiris to call timeout at 61-53, after an 8-0 run. Darjus Lavrinovic stepped up with a layup, Kaun made free throws and a close basket by Micov restored a double-digit CSKA lead, 65-55, with over four minutes left. Krstic split free throws, Kaukenas took over with a backdoor layup and a turnaround jumper by Weems sealed the outcome, 68-57. Zalgiris called timeout and kept trying, but CSKA had already sealed a key home win and its fans had plenty of time to celebrate that their team is a step closer to sealing a ticket to the Euroleague Playoffs! "This game became difficult mentally before it even started. After Darden left and Popovic got injured, we were supposed to win for sure. Still we remembered that Zalgiris is a very serious team and it always plays hard. We played very well until we built a 15-point lead. After that we’ve just switched off, started to do a lot of bad things. Fortunately we were able to play organized in the last quarter and I was happy with the next eight minutes. Then again we played not so well in the last two minutes. Hopefully we are able to improve because we obviously have big potential. 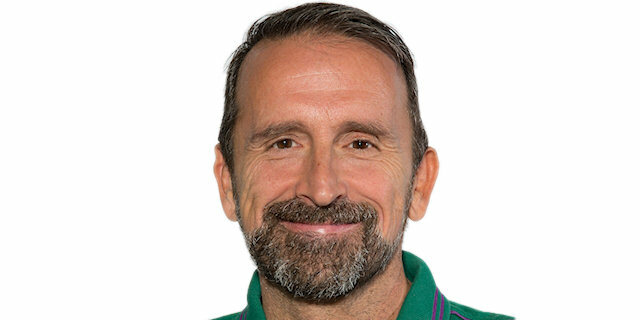 The one thing I told to the team in the locker room is that if you look at the stats, we are probably the best team in the Euroleague; we have great shooting percentage, we are second to Khimki in assists, we have an excellent index rating. Maybe only Barcelona is better than us statistically. And still we can allow ourselves to play such a bad stretches during the games. At least we know what we should work on – stability." "We should watch the video to say for sure, but I think we played hard and gave our best with so many players missing. We had 16 turnovers and we missed a number of easy shots from under the baskets and you can’t win against CSKA with so many mistakes. But I think we made our fans proud of their team by giving a huge effort. We won one of the quarters and we were close until the last three minutes of the game. I am happy with my team’s effort tonight." "We played as a team and got big win today. We didn’t let them go forward and did everything we wanted to do. In the first half we let them shoot threes. Then just played good defense and made a few key plays and won." "It was a hard-fought game and a tough loss for us. Now we have no more chances to continue playing in Euroleague. We tried to fight every game. CSKA is a great team, one of the best in Europe. In the fourth quarter they beat us with rebounds and made a couple of big shots."